Mr Jair Bolsonaro, the man poised to win the first round of the Brazilian presidential election until a few days ago, will most likely not be returning to the campaign trail any time soon given that his doctors now admitted that he lost some 40 percent of his blood (about 2 litres) as a result of the stabbing by a left-wing extremist during a campaign rally in Minas Gerais earlier this week. 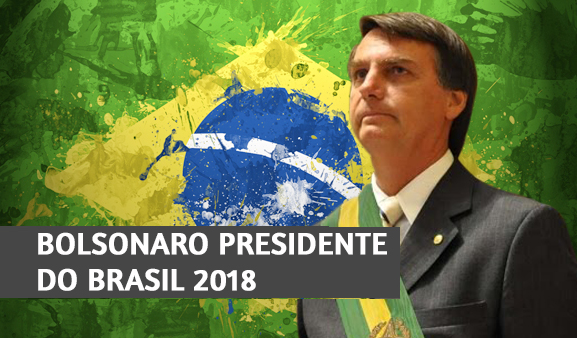 The man by now commonly described in the world media as "Brazil's Donald Trump" was the presidential front-runner in the most uncertain electoral race Brazil has seen in the 21st century. His stabbing comes as a blow to his supporters who were informed that it will take the congressman from Rio de Janeiro at least two months to recover from the serious wounds. Hospital director Mr Eunice Dantas declared to reporters that Mr Bolsonaro arrived at the hospital in shock after the knife penetrated 5 inches into his abdomen. After emergency surgery, doctors now report the former army captain to be "in excellent clinical condition." Mr Bolsonaro’s sons explained that their father might not be able to take to the campaign trail anymore, but they would on his behalf. Meanwhile more information has been released about the suspect, Mr Adélio Bispo de Oliveira. From his social media posting we learn that the 40-year-old was a vocal critic of Mr Bolsonaro who worked from 2007 to 2014 for the extreme-left socialist party PSOL. Related coverage: <a href="http://thegoldwater.com/news/36353-Brazil-Video-Of-Bolsonaro-Stabbing-Attack-Shock-Images"> Brazil - Video Of Bolsonaro Stabbing Attack (Shock Images)</a>. He had campaigned for the release of former left-wing President Lula da Silva from prison. According to his relatives the man had become disillusioned with politics and was suffering from mental problems in recent weeks. a crackdown on Leftists should occur. We should all pray that a Pinochet emerges to save Brazil from the communist menace.